Lead Real Estate Counsel for large, foreign manufacturing company locating its first manufacturing facility in the United States. Lead Real Estate Counsel for large retail debtor in Chapter 11 with significant holdings of leased space sold and assigned through a 363 sale. Lead counsel for real estate transactions representing multi-state franchisee of fast food business involving sales, purchases, leases and lending transactions. Lead counsel for many commercial real estate loan transactions, including syndicated and participated transactions and workouts representing lenders in connection with loans secured by commercial real estate of many different uses and types (multi-family, specialized healthcare, hotels, drug stores, shopping centers, malls, industrial and others). Lead counsel for lenders in connection with purchase and sale of loans and loan documents. Damon practices with the Lending and Real Estate Practice Groups. Damon has extensive experience in representing banks, lenders, and owners of commercial real estate on issues ranging from acquisition, leasing, and financing to workouts, foreclosures, and bankruptcies. 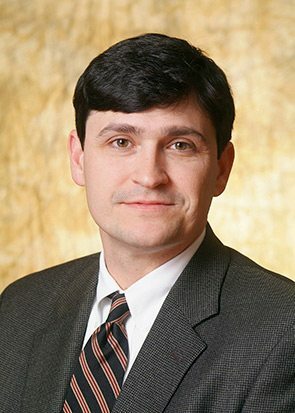 Damon’s real estate practice is varied, including: land acquisition and development of a major steel manufacturing facility in Mobile, AL; sales of a variety of commercial properties (multifamily, single family, office, religious) for financial institutions; defense of condemnation actions brought by the Alabama Department of Transportation; applications for zoning variances; and various local counsel issues relating to the purchase, sale, lease, and/or finance of multistate projects with one or more locations in Alabama. Damon’s lending experience includes negotiating, documenting, and closing commercial and real estate loans as well as working out troubled loans, foreclosing on collateral, and litigating against borrowers and guarantors as a result of defaulted loans. He represented a large corporate debtor’s real estate interests in bankruptcy and was substantially involved in 2009 in the sale by a debtor of over 50 fee and leasehold locations in Alabama and Florida.